This post is sponsored by New York and Company. As always, all opinions are mine. 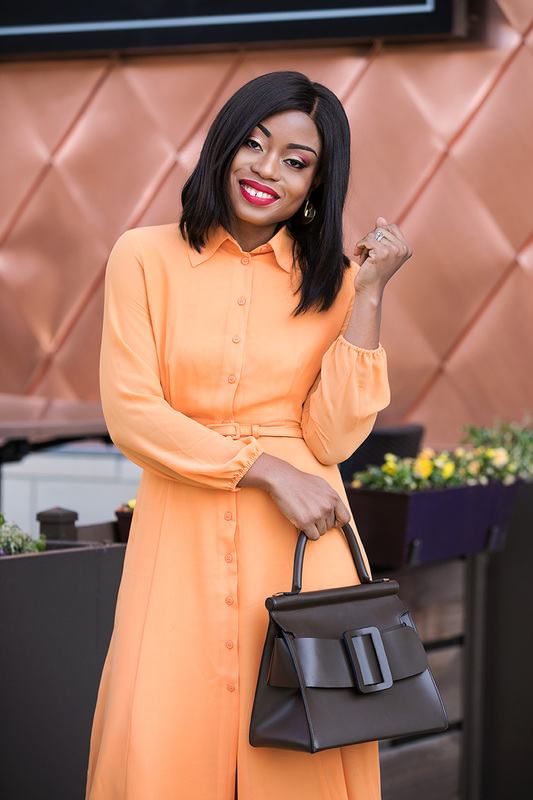 Spring is all about bright, bold, and colorful dresses and this Eva Mendes Collection shirtdress is nothing short of perfection. 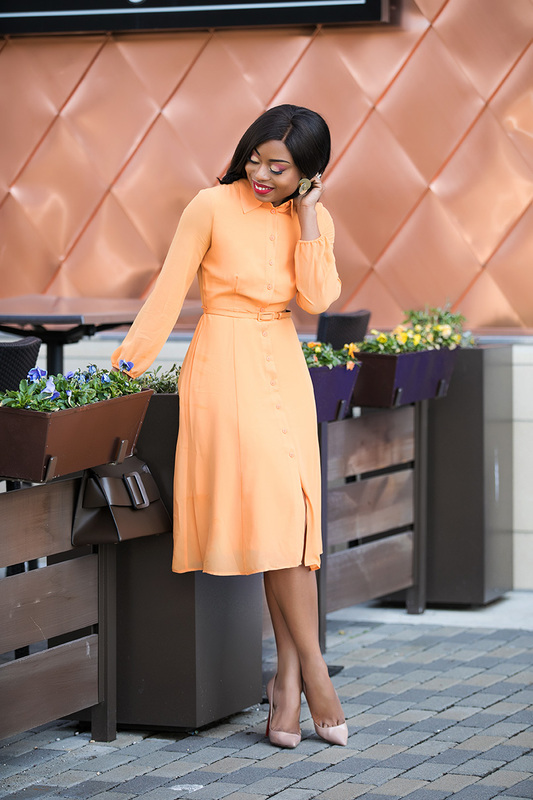 This orange shirtdress is one of those dresses that you can wear to work this spring, for upcoming Easter celebration, or simply throughout the season. It is classy and vibrant. Beside the vibrant hue, I love the simplicity and feminine feel. 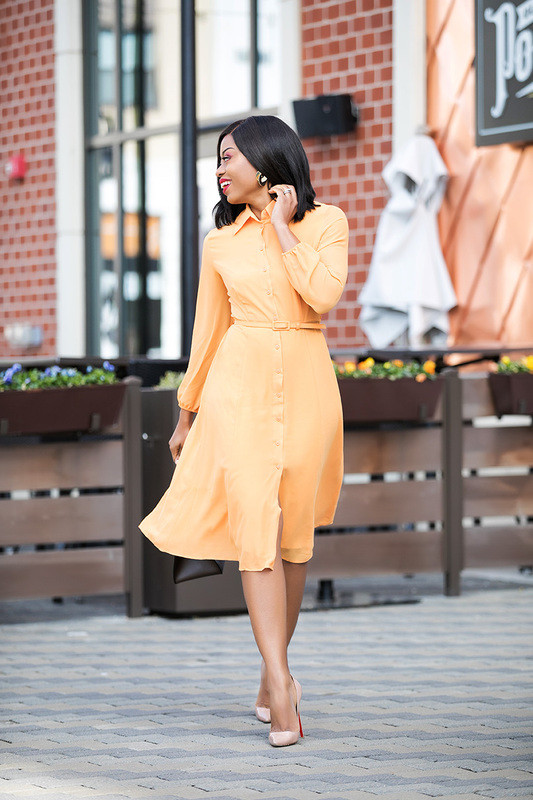 This shirtdress gets me into the spring mood. With pronounced color hue, I love simplifying my accessories. For that reason, I paired it with neutral and gold accessory. The good earrings adds rich feel to the look without taking away from the dress. 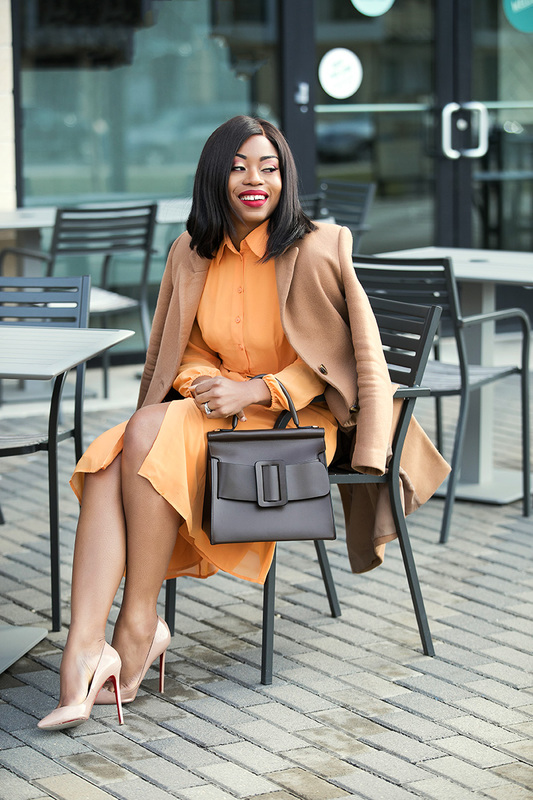 Since the weather is still cold, I added the camel coat and completed the look with a simply classic beige pumps. There are so many options from the Eva Mendes collection on New York And Company that will be perfect for the spring season and work life. This polka dot version of my dress is another pair that I am eager to wear this spring. You are rockin' that color! Checked out the Eva Mendes Collection and they are nice!